The head of the family, Oliver Opara, told Punch correspondent that a private facility in the Egbeda area of the state, Crystal Specialist Hospital, where the baby was born, was also to blame. 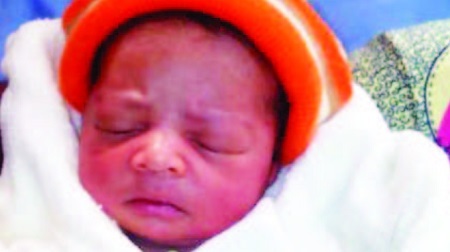 Punch Metro gathered that Baby Opara was born at Crystal Specialist Hospital on Tuesday, October 24, through vaginal delivery. While on oxygen at the unit, power went off, Oliver said. When Punch correspondent asked about the allegations of the baby’s condition being discovered by the grandma and the removal of the oxygen, Adeyemi said, “That is completely incorrect. I was there myself. We have a consultant paediatrician on the ground. When Punch Metro contacted the Chief Medical Director of LUTH, Prof. Chris Bode, on November 27 and 28, he asked for the details of the victim and his parents, saying the hospital would investigate the claims and react. Replying to a text message later sent by Punch correspondent, he said the hospital had decided not to react.